We offer a wide range of assistance, including business financial, personal financial, accounting, auditing and tax advisory services. We consider ourselves innovative and strategic thinkers who are well-respected for their integrity. The links below are meant to give an overview of the services we offer. If there is a particular service you would like to inquire about, please feel free to contact us. 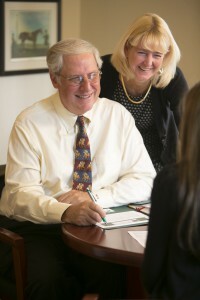 In 2007 we integrated financial services into our practice through H.D. Vest Financial Services®. As a leader in the growing market for comprehensive financial services, H.D. Vest Financial Services® offers financial planning through its Advisors to more than three million individuals and small businesses throughout the United States. Our affiliation with H.D. Vest allows us to offer our clients financial advice from ONE trusted, ethical and highly educated professional who is closely in tune with their financial needs.